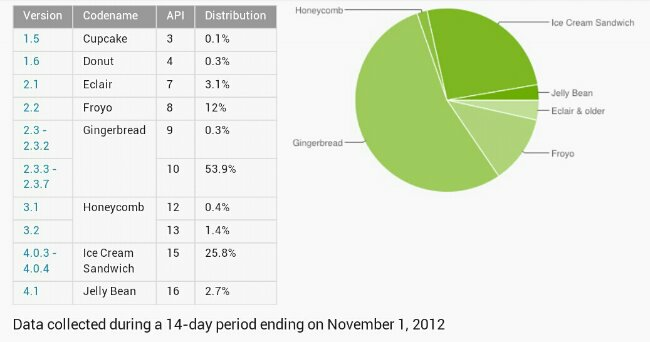 It’s the first of the month which means Google has updated the Android distribution numbers from the previous month. As you would expect, Jelly Bean’s share has jumped slightly to 2.7%. Since there are so few phones running 4.1, the slight bump from 1.8% makes perfect sense. The Ice Cream Sandwich share saw a solid increase to 25.8%, up from 23.7%. Gingerbread remains king with a majority 53.9%. The rest is spread between really old phones running ancient software.